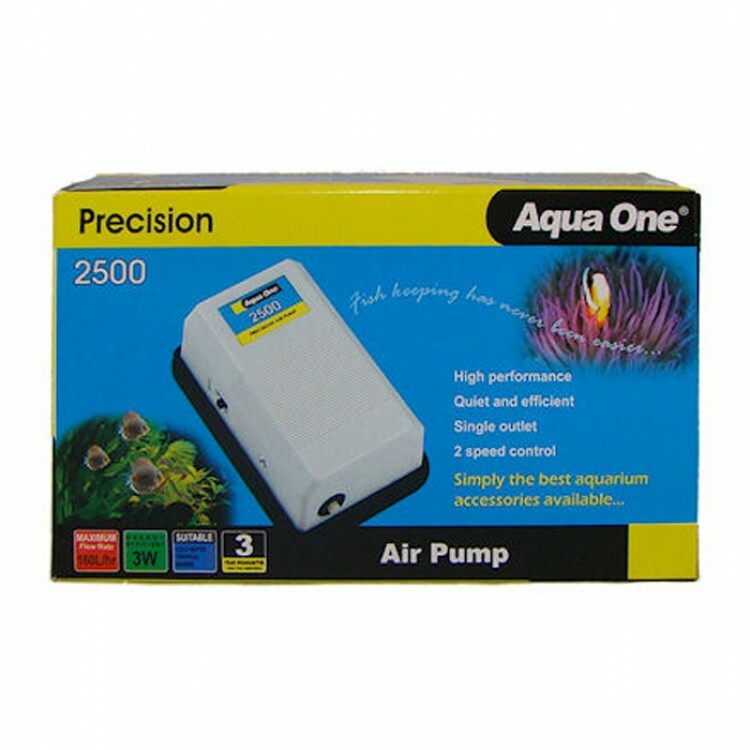 The Aqua One Precision air pump features a compact, low noise design that is not only energy efficient, but powerful too. Pumping up to 150l/h, the Precision pump features a speed control switch - perfect for powering those bubble blowing decorations which require a low output. If you want to power a nice air stone or air curtain instead, flick the switch back to full power and you're all set to go! Includes air pump and instruction manual only.